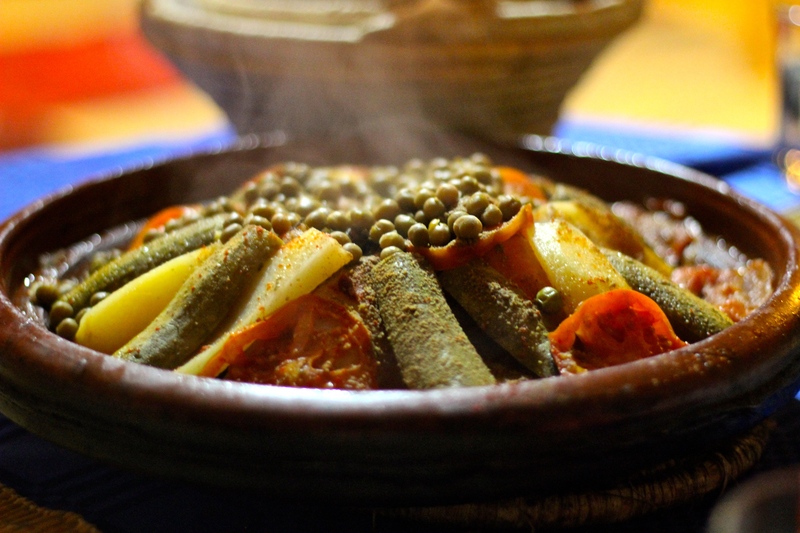 The tajine served at Auberge Les Roches was a variation of one I’d seen many times before, but never ordered by me. That’s because it was filled with about 7 or so different vegetables. Fortunately, buried beneath those that would ruin my meal was a bunch of chicken. And the chicken was fine, but it was really probably the least delicious of any I had eaten yet. It probably has something to do with a lack of awesome citrus flavors, but whatever the reason I will recommend Auberge Les Roches for the rooms and the view much more than the food.